Willie Itule Produce has remained committed to quality service and produce since the start. Willie Itule Produce is a full-line fresh produce and specialty food distributor. Offering a wide range of local and global products. Some specialty items are available with advance notice. Willie Itule Produce offers an extensive line of dairy products including milk, yogurt, cheese, and eggs. Our customers receive the freshest, highest quality local eggs from Hickman's Family Farm. Willie Itule Produce offers a wide array of dry ingredients. 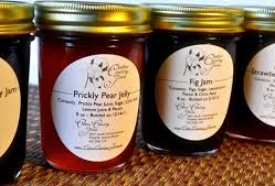 We also source local Crockett's Honey and Cotton Country Jams. As a new customer, you’ll need to fill out a new customer application in order to set up an account with Willie Itule Produce. We’ll be able to service your account as early as 24 hours later. After your application has been processed and approved, we can provide you with credit terms if needed. During business hours please contact us at the number above. If you reach us outside of business hours, just leave us a voicemail and we’ll get back to you promptly during the next business day.